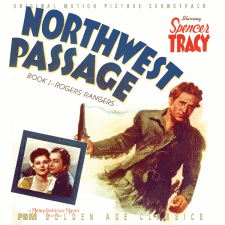 Northwest Passage (Book I—Rogers’ Rangers) is the 1940 adventure score by Herbert Stothart, M-G-M’s premier composer in the 1930s and ’40s, presented in nearly complete form from the monaural optical film masters, with a few otherwise lost cues added from the film’s music-and-effects track. 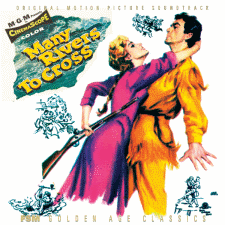 Many Rivers to Cross (1955) is a comedy western score by Cyril J. Mockridge, conducted by no less than Miklós Rózsa, with a song (“The Berry Tree”) by M-G-M songwriter and executive Saul Chaplin. 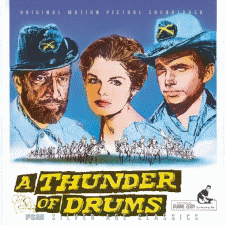 This score survives in glorious three-track stereo from the original 35mm magnetic film. A Thunder of Drums (1961) is a cavalry adventure score by Harry Sukman, also presented in true stereo. Dominated by grim and martial passages, the music also features romantic strains anticipating Sukman’s scores for TV’s Dr. Kildare. 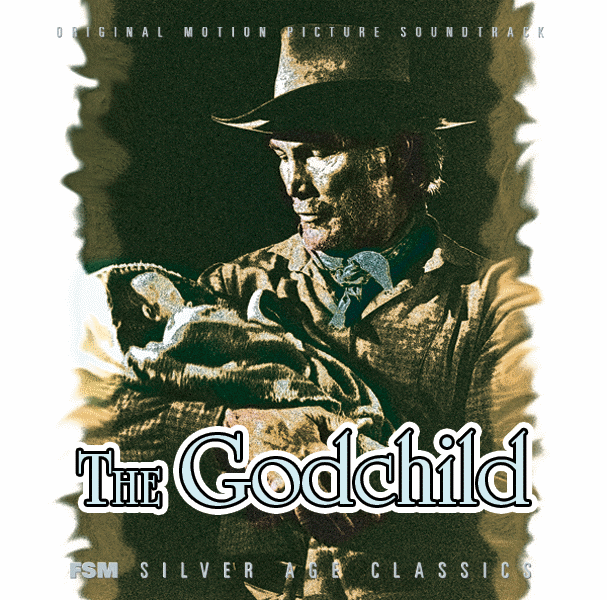 At the end of disc 3 is a television rarity: David Shire’s 1974 TV movie score for The Godchild (a John Badham-directed adaptation of Three Godfathers, a western story filmed several times earlier). It is a brief and spare work demonstrating the composer’s gift for simplicity and melody—presented in excellent stereo sound. The film titles for this album were selected in large part from listener responses to our last westerns collection. So keep listening, and keep suggesting titles! Complete liner notes for this album can be found—for free—online at our website. 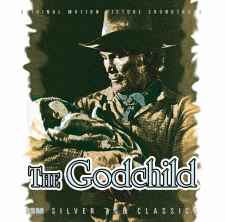 Finally: our previous two western collections, centered respectively around The Unforgiven and The Naked Spur, promptly sold out. We have increased the manufacturing run on this volume to 2,000 copies—but don’t delay!